If your patients wear daily disposable lenses, they probably already know how extremely convenient they are. And, because the lenses are replaced each day, they’re also the healthiest lens option. What your patients may not know is that Proclear 1 day contact lenses also have the added benefit of exceptional all-day comfort. It's all down to PC Technology. PC stands for phosphorylcholine, which contains molecules that are hydrophilic and biocompatible with the human body. 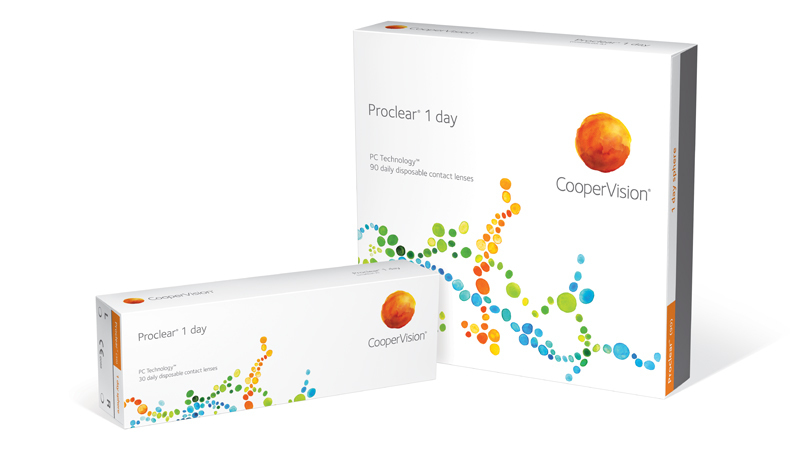 Thanks to PC Technology, Proclear 1 day will hold water for longer periods of time and have less surface evaporation. PC Technology also attracts and binds water to the lens surface - and a shield is created that keeps the lenses clean and functioning properly. It all means that Proclear 1 day remains hydrated, which helps the lenses feel moist and comfortable all day long.